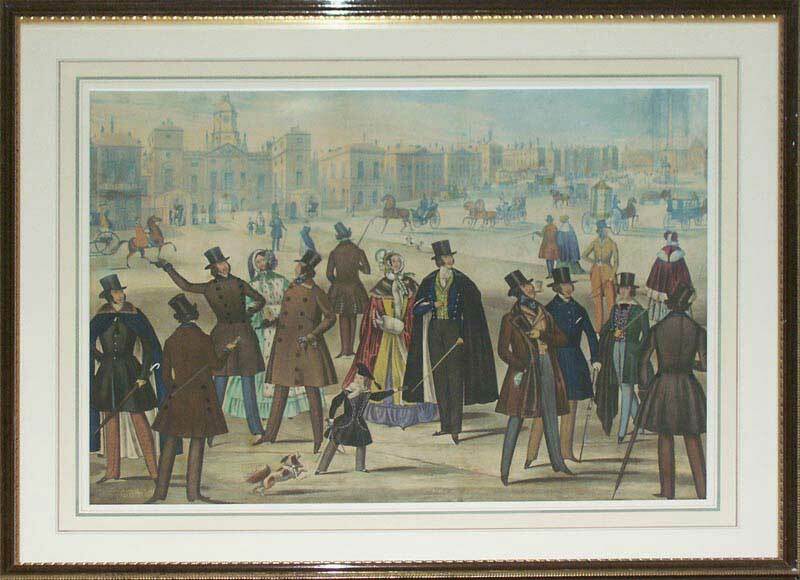 Benjamin Read was a tailor and printmaker whose delightful images depict the fashions of the day set against detailed backdrops of well-known London landmarks. 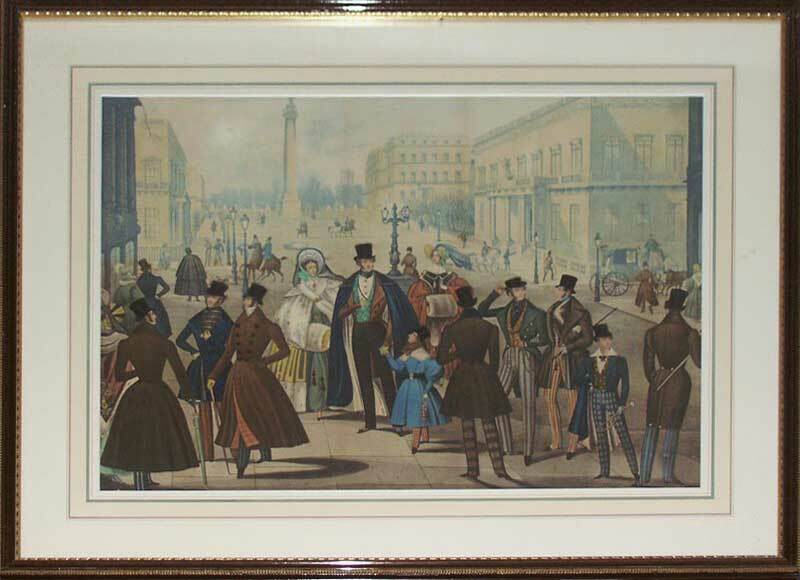 Previously, fashion plates had been rather formal, if not clinical, but it was Read’s genius to add an element of whimsy and set whole groups of elaborately dressed figures alongside the streets, parks and principal buildings of early nineteenth century London. It was his aim to promote and sell his own designs but in doing so his legacy is a unique collection of important topographical prints. It is thought that nearly forty different images were produced over a ten year period but few have survived. To enhance his work he had the prints meticulously coloured by hand and the finished plates fast became the most superior and sought after fashion plates of the age.